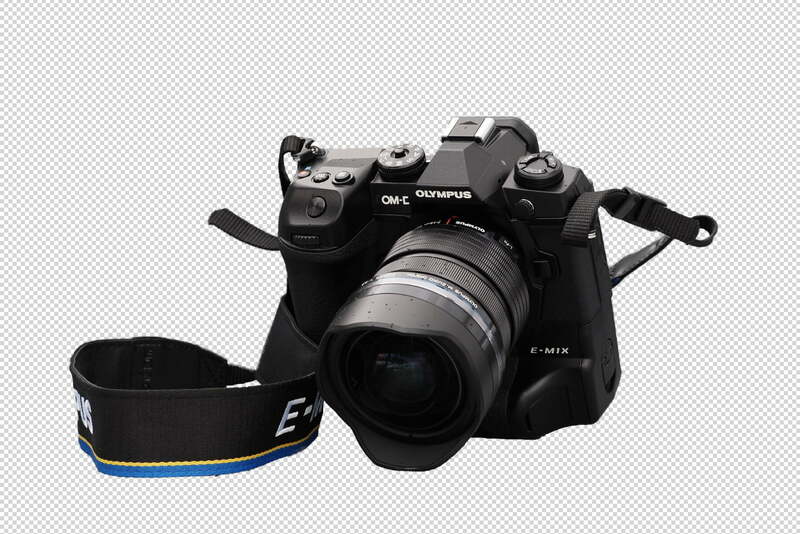 From product photography to slick website designs, sometimes an image is just better without the background. Thankfully, with a bit of Photoshop magic, giving an image a transparent background is actually pretty simple. 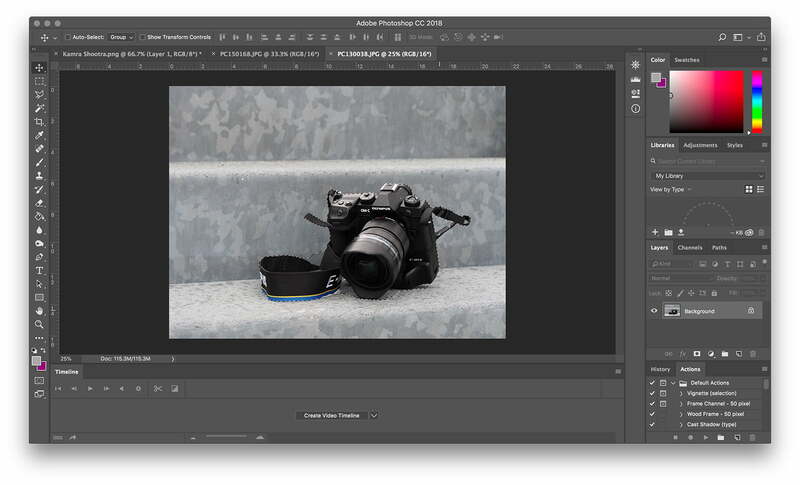 The process can take some patience, especially with complex objects, but recent updates to Adobe Photoshop make the task even simpler. Here’s how to do it. Making a background transparent involves selecting what you want to keep and deleting what you don’t. But, which one of Photoshop’s several selection tools is best for the task? That depends on the image. If you are working with an image on a background with a lot of contrast, such as a dark object on a light background or a single-color logo, the selection process is a bit simpler. For this tutorial, we’re assuming you’re working with something a little more difficult — because if you can remove a busy background, you can remove any background, and even if you are working with a white or solid color background, you can save some time by familiarizing yourself with Photoshop’s different selection tools. The magic wand tool will select all the pixels with a similar color. With a logo on a white background, for example, all you have to do is click on a white area to select it, then hit delete to clear it away. You may to repeat this if there are multiple sections of background divided by portions of the object you’re trying to cut out. The rectangular and elliptical marquee tool will work if you want to select an object that’s a perfect rectangle or perfect circle. Just place the selection over what you want to keep, then follow steps four, six and seven below. The lasso, Select Subject, and Select and Mask tools work better for removing a more complex background and are where much of Photoshop’s hidden power resides. Here are the basic steps to putting these tools to work. 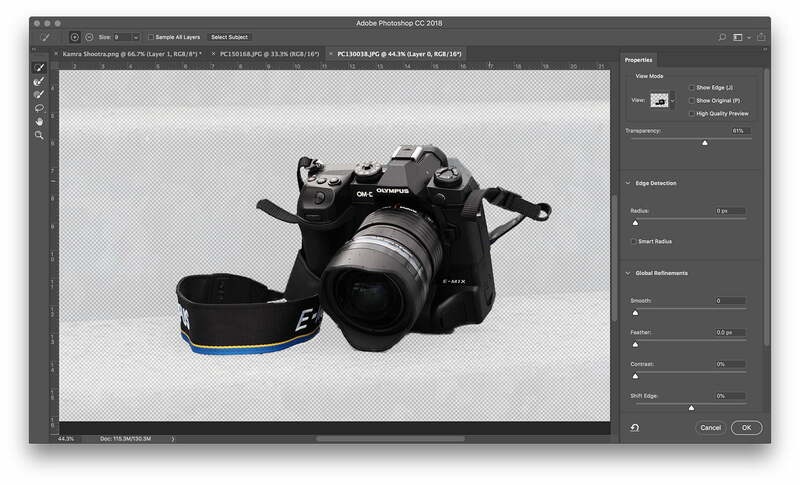 Photoshop’s new Select Subject offers an easy start. Go to Select > Select Subject. 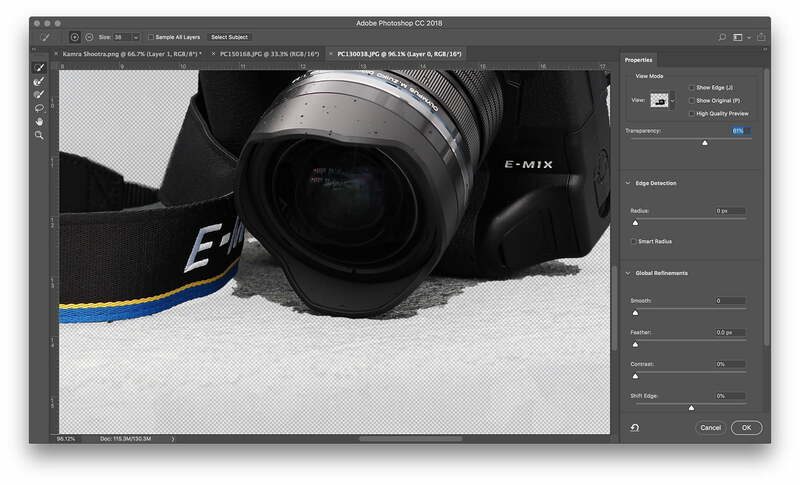 The process takes a few seconds, but Photoshop will then roughly select the subject of the photo using artificial intelligence. The tool usually doesn’t get it perfect, but that’s okay — you can refine the selection in the next step. If the Select Subject tool isn’t working for you (or you are using an older version of Photoshop), skip to the next step and start the selection from scratch. If the Select Subject tool works perfectly (it happens! ), skip ahead to step four. Chances are, your selection isn’t quite perfect. If you are working with an object with well-defined edges, the magnetic lasso tool is probably the easiest route, so go ahead and skip to the next step. For objects with less defined edges, texture, and wildly irregular shapes, however, the Select and Mask tool is often easier. 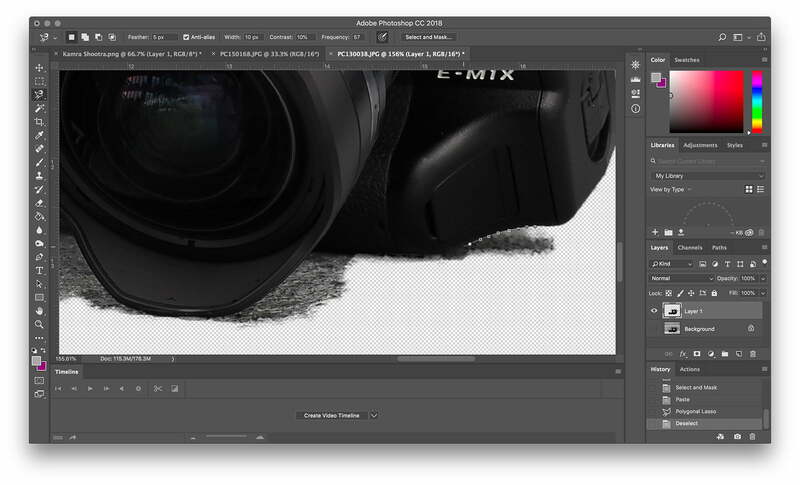 For objects with both, like the image of the camera used in this tutorial, you can use a mix of both methods. Fine-tune the selection by heading to Select > Select and Mask. In the Select and Mask Window, refine the selection. Use the brush tool from the tool bar on the left and select the plus icon in the top tool bar, then brush over anything that should be included in the selection, but isn’t. Or, click the minus icon at the top to brush over pieces that shouldn’t be part of the selection. Remember, the goal is to select the subject, leaving the background that you want to remove unselected. If the brush is selecting too much, zoom in and use a smaller brush size (located right next to the plus and minus icons at the top) and lower the radius in the properties toolbar. If the brush isn’t selecting enough, use a larger brush size and increase the radius. Get the selection as good as you can using the Select and Mask tool, but don’t sweat if it’s not perfect yet. Make sure to err on the side of selecting too much — if you leave something out, it’s tougher to go back later. Click okay once you’ve refined the selection as well as possible. Before moving on to the next step, zoom in on all the edges and make sure you didn’t leave any of the selection out. If you did, just re-open the Select and Mask tool and select that area. Save what you’ve selected so far on a new layer, even if it’s not quite perfect yet — just make sure you haven’t left out anything that should be selected. With those “marching ants” still indicating your selection, copy (Control or Command + C) and paste (Control or Command + V) the selection. The pasted selection will automatically show up as it’s own layer. Alternately, you can also go to Layer > New > Layer Via Copy. In the layers panel, click the eye icon next to the original background layer. That will allow you to see your transparent background, but don’t delete the background just yet. Photoshop has about a dozen different selection tools, and while the Select and Mask works well with objects that are difficult to select (like people with hair) the magnetic lasso tool can be faster for well-defined edges. Continue refining your selection after Select and Mask, or jump right to this step if you are cutting out an object with well-defined edges. Select the magnetic lasso tool. The lasso tools are the third from the top in the default toolbox but there’s more than one — click and hold, then choose the magnetic lasso tool from the dropdown (it’s the icon with a magnet in the corner). If your object has both well-defined and straight edges, the polygonal lasso tool may be the easier choice, but it doesn’t work with curves. Click around the outside edge of the object to select any additional background areas to remove. The magnetic lasso will snap to the edges of the object, but be sure to click frequently enough to help it out. Once you’ve selected part of the background, tap the delete key. You can also remove sections of the background using the eraser from the toolbox. This is good for final clean-up after the lasso tool. Finally, go to the layers panel and click on the background layer. Click delete to remove the background and leave only the selection you made. You can add in a new background layer to play around with different colors, gradients, or images to see how your selected object displays over them. If you save your file as a JPEG, you’ll wind up with a white background because JPEG doesn’t support transparency. Head to File > Save As and choose PNG from the file type options. Now, you have a PNG file that you can place anywhere with a transparent background.